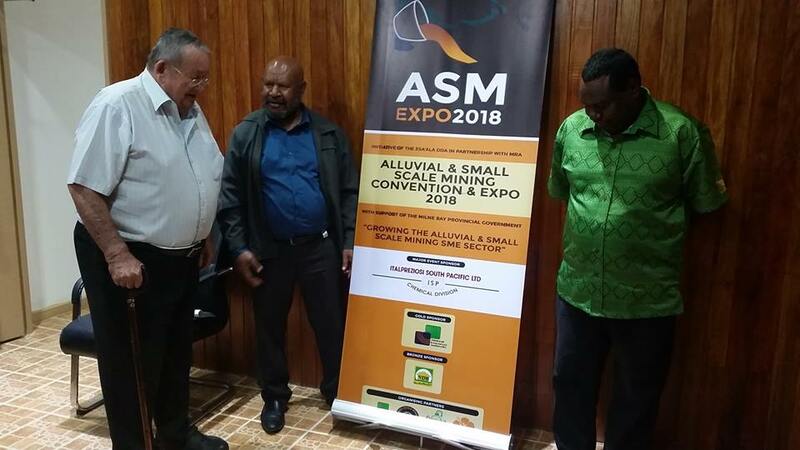 Mining Minister Johnson Tuke in Alotau this week has announced he has plans to make a submission to government to make alluvial mining a reserved for Papua New Guinean citizens. And he also revealed plans for regional alluvial mining training centres in the country. Tuke says in the next few months, he hopes to complete this submission to government to reserve the alluvial mining sector for Papua New Guinean citizens alone. “My vision under vision under Oneill/Abel Government is to help local Papua New Guineans meaningfully participate in the the alluvial mining sector and general wealth for our country. In the next month or so, I will put to the government a submission to make alluvial mining a 'reserved activity for Papua New Guineans”. He also committed that government will fund this sector next year, announcing also the creation of regional alluvial mining training centres throughout the national. “I’m very, very delighted to announce today in this conference that i as Minister responsible will establish alluvial mining training centres. Since Alotau has taken this proactive response in this regard, it will be centre for a training centre for southern region”. He officially opened a two-day Alluvial and Small Scale Mining Convention 2018 in Alotau last Thursday through to Friday, initiated by the Esa'ala District Development Authority- that attracted local industry players, gold experts, buyers and stakeholders, even international interest as far as Dubai.